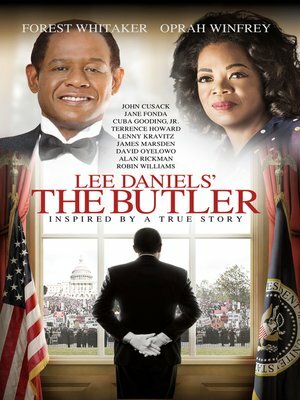 LEE DANIELS' THE BUTLER tells the story of a White House butler (Academy Award®-winner Forest Whitaker) who served eight American presidents over three decades. The film traces the dramatic changes that swept American society during this time, from the civil rights movement to Vietnam and beyond, and how those changes affected this man's life, his wife (Academy Award®-nominated Oprah Winfrey), and the rest of his family. Rounding out this all-star cast is Robin Williams as Dwight Eisenhower, John Cusack as Richard Nixon, Alan Rickman as Ronald Reagan, James Marsden as John F. Kennedy, Liev Schreiber as Lyndon B. Johnson, and many more. Academy Award®-nominated Lee Daniels (PRECIOUS) directs the script from Emmy® Award-winning writer Danny Strong (TV's GAME CHANGE).